Technology is invading the jobsite at every angle today and for good reason. Going paperless can improve business operations and decrease the amount of resources needed to get the job done. In the highway construction industry, electronic lettings have been standard operating procedure for the Iowa Department of Transportation (DOT) for many years. Recently, the agency partnered with a contractor and a software provider to bring the e-construction process right to the point where the asphalt truck arrives at the jobsite to unload. 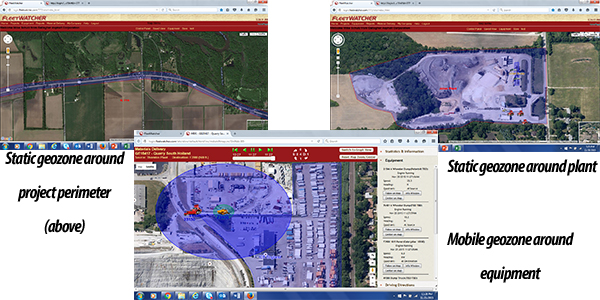 A revolutionary new materials delivery solution developed by Earthwave Technologies for the asphalt paving industry has garnered the attention of Department of Transportation officials for its potential to replace paper tickets with accurate and verifiable electronic tickets that provide the proper documentation for deliveries to highway and road-building projects. Utah’s Department of Transportation is hosting a workshop on e-construction on March 1-2 in Salt Lake City to cover the latest progress reports from leading states. A presentation by Greg Mulder, Director of Iowa DOT Office of Construction and Materials, will highlight Iowa’s use of e-tickets and e-document submittal using Fleetwatcher’s Materials Delivery Solution in 2015. Initially developed for paving contractors to help reduce trucking costs and optimize cycle times, the solution was embraced by Mulder and his team as viable technology to replace paper tickets following a successful 90-day ‘proof of concept’ of the system with a local contractor in Ames IA. The solution and process worked very well for tracking and verifying the product life cycle from the certified plant to installation.